When I first started using My Protein, I opted for the simple Impact Whey protein powder but then moved to Total Protein to increase the different types of proteins my muscles get. The limited carbohydrates are ideal for anybody looking to stay lean - yes, you can use Impact Whey Isolate, but I'd rather opt for a shake that delivers numerous proteins to my muscles and is a little cheaper. I've used this product for 6 months now and I won't be changing product anytime soon. I do weight lifting 6 days a week, with 2 morning cardio sessions all on a shredding diet (putting my body into calorie deficit). I'm 11 weeks in and these shakes have really helped keep my training on point, I rarely feel fatigued when taking them and have gotten noticeable results. I take my shakes with added Psyllium Husk, Creapure (also from My Protein) and Unsweetened Almond Milk - they taste incredible and just like milkshakes. I've currently got a 5kg pouch of Strawberry (great for the very sweet tooth), Banana (a natural taste, not too strong, just right) and Vanilla (by far the greatest tasting flavor they offer, not too strong, natural flavor and I use it in all my baking - it's awesome). I've also tried Chocolate Smooth, it really does taste fantastic but I'd rather not lose my protein content for taste. As for Unflavoured, it was great for 1 week, then was disappointed mainly because my diet is so bland in flavor that my only source of a healthy sweet taste are my shakes - either way, I still drank it - rather have the flavor though! Hope all this helps you decide, I've spent a lot time trying all types of brands and flavors but it's My Protein all the way for me! Used this product for the last 3 months, having 2 scoops of protein and 2 scoops of instant oats twice a day. Noticed pretty good gains however the trouble it caused my stomach wasn't worth it. Constant diarrhoea to say the least. Have since ordered Impact Whey Isolate and seems to be okay and not causing me any trouble. Decided to compare the two products and the most noticeable difference is the addition of Xantham Gum, a thickening agent. I googled what Xantham Gum and found the following on wikipedia, under the sub-section "Allergies": Xanthan gum is a "highly efficient laxative," according to a study that fed 15 g/day for 10 days to 18 normal volunteers. This is not a dosage that would be encountered in normal consumption of foodstuffs. This study set out to examine the use of xanthan gum as a laxative. As described above, xanthan gum binds water very efficiently, which significantly aids passing stools. Some people react to much smaller amounts of xanthan gum with symptoms of intestinal bloating and diarrhea. Why on earth My Protein are choosing to put a "highly efficient laxative" in a protein shake I will never understand. Steer clear of this if you have a weak stomach like myself. Last month I started buying protein and began with choc smooth impact whey. One scoop of that with 250ml of milk and it tasted great, smooth and no mixability issues. Now, after going the gym for a bit I have purchased 2.5kg of Total Protein (Choc Smooth) but have found when following the directions of use (60g scoop with 350ml or water/milk) it is of a completely different texture to that of impact whey, it is grainy and really difficult to consume. Is there something I am doing wrong, any sort of help would be superb! First, i have always used protein, from the days you held your nose and gagged, not wanting to chuck and waste it.... as most tasted fowl.... and they were expensive. Had this in Strawberry and is great. However i want a protein that works, taste is secondary. So if you want taste reviews read the others. Been using this a month, same dosage as my previous protein (morning, before and after training and before bed, and morning and night on rest days) Results are excellent, faster recovery and noticeable size gains. I also appear leaner. As with all supplements they are more effective with good training and nutrition, i also use BCAA's, again from MP. I have trained for 30 years (now 47) and began a new "heavy" programme after a 12 year lay off towards lighter and reps. My training buddy has also noticed gains in my size and strength, he has started on this now after being a "don't need protein supplements" man. I can suffer bloat with some proteins and find no issues here, which is ideal if you want to take regular amounts. Mix of proteins also ensures you make the most of your money and get a varied supply of protein ( research it on-line, this is the best way to take protein). Mixes well in a MP shaker, i use milk and water, depending what time of day i take it, with no huge difference in taste or texture,. Top product and service to match, i will be using this for a while. 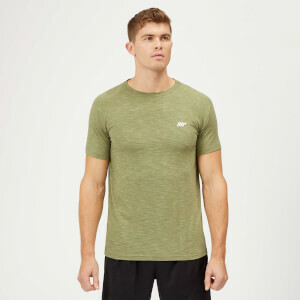 Recommended highly, all the gains of top brands without the price tag!!!! No more mint chocolate for me! I recently bought 5 kg of chocolate mint flavor. At first drink i had it was ok, not great but ok, at second it became worst and after that its just like i drink chocolate toothpaste of some sort. The mint is SO STRONG that i can't drink it anymore, so i am stuck with about 4.7Kg of chocolate mint protein i can't drink, my only option is to buy some of that really really sweet protein (natural chocolate) and mix 1 spoon of each, perhaps that way i can no longer feel that mint so strong. If you choose this go with Double chocolate as it is best (atleast for me), don't choose Mint Chocolate because it is too strong mint flavour, unless you have a mint addiction of some sort!! Honestly its like drinking toothpaste water. Its effective it does it's job but its a nightmare for me after each training session when i think i have to drink that again, i tried with water/milk added 1 banana to it to take the flavor away, nothing worked so far, il try to add cinammon next. This review is a test so please just ignore it. First got total protein in banana flavour when it was on offer a few months ago. The product is excellent, a big protein hit in various forms which digest at different rates. All good. I found the banana flavour good, not too artificial. The mix is a little grainy though and when settled left black/grey sediment at the bottom of the shaker. So every time I put the shaker down I'd have to shake it again to mix it up. Not the end of the world but it meant I never looked forward to it. I've just got chocolate smooth and it's 10x better. First off, it's the best MP chocolate flavour I've had. More flavour than impact whey but not overly sweetened and artificial like Hurricane. It also mixes much better. If you put the effort into shaking, mixed with 300ml milk in an MP shaker provides a delicious, thick and silky smooth chocolate shake. I'm so much happier with chocolate smooth than I was with banana. It still separates a little when left standing but not as bad (or at least not as noticeable as the banana powder). As for usage: the science involved with the different types of protein in the powder says it's good for quick and also longer term digestion. For post workout I have hurricane xs, always with water out the tap at the gym. Total protein is just used at home with milk. I find a shake is adequately filling for breakfast when I can't face the heavy gloop of total breakfast. I'll then have one in the evening a couple of hours after dinner, for overnight release. I only drink hurricane on gym days so on off days I'll throw a scoop of creatine mono in with the total protein. Total protein is low on carbs and not high calorie either so could be an alternative to impact whey if you're trimming. Very happy with this. The flavour (chocolate smooth), the smooth mixing and the effectiveness of the formula. 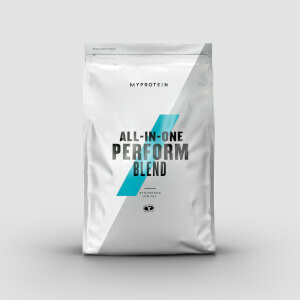 It's a perfect all in one and yes people say more than 20g of whey at once is pointless but it's not just whey as it provides proteins designed for slower release too. For the flavour alone I'd stick with this. Pricier than impact whey but it's a completely different product. Maybe not as obvious as a post workout shake but I'd definitely use it if I wasn't making use of the carb hit provided by hurricane xs. 2 of these with a hurricane post workout easily gives over 100g of quality protein added to your diet. Handy for people like me who can't always eat lean protein at frequent intervals during the day. Great taste, nowhere near the medically taste that some protein shakes have. Mixes extremely well in a shaker. Has casein protein, which the previous blend I used has removed, switching to this better tasting and cheaper blend was an obvious decision. Definitely recommended, wish I'd tried it sooner. First bag came with a hole in it, replacement provided without any issue. Perfect support. I love the taste of the protein! After reading up about types of protein I realised that I needed casein protein so when I saw the sample of the strawberry cream on offer I bought a couple of them to try. 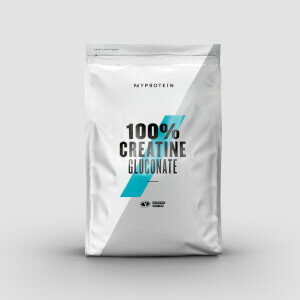 Ive only ever had the standard whey protein or isolate protein from this website and find them quite watery as I always mix with water to save on calories, but this protein is so creamy and thick in comparison even mixed with water. It did have several small lumps in it when I mixed it in a shaker but it didnt really bother me. I have ordered loads more of the strawberry flavour!